15 oz. white mug with Isaiah 43 verses: "The Lord says...When you pass through the waters, I will be with you...For I am the Lord your God." 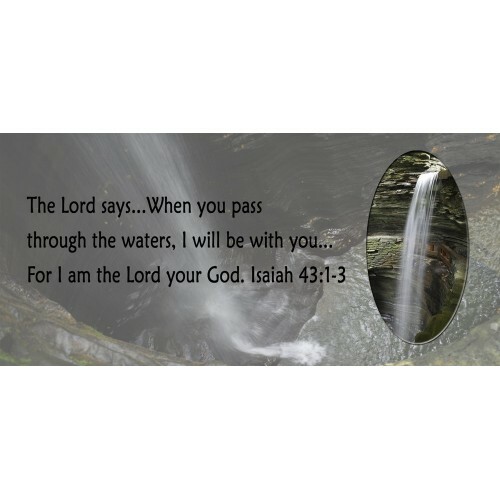 Isaiah 43:1-3. Photo wraps all the way around the mug. Waterfall photos taken in Watkins Glen State Park, NY.